I've been living in SouthAfrica at Ten Thousand Homes for 4 1/2 years now. 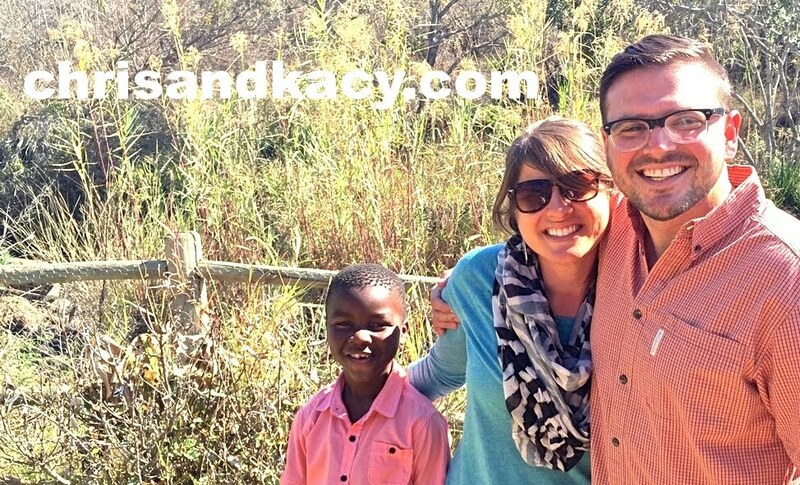 We've had the same mission this whole time: creating hope and homes for Africa's orphaned and vulnerable children. The ways we live it out have evolved as we are grow. Just like you have to change your parenting styles as your child grows up, everyday we are learning to embrace new spiritual parenting principles as we walk deeper and further with orphaned hearts and orphaned children. After four years of family-building, some of the ones who have never known family are learning, leaning and letting us in. We are waiting, watching, and running as the sons and daughters start realizing they have a place at the Father's house. Just like the "prodigal son" in Luke 15, the journey home starts when you're empty... when you're hungry and homeless. So that's where we started. With food and with houses. When the son shows up, hesitating and hovering outside the gate, the Father runs. That son was met with a big ole, manly 'Welcome Home' kiss and a ring that sealed his place in the family. He was welcomed home with dignity, love, adorning and feasting. And then they danced. Before he encountered his father, that spit-up-and-chewed-out boy had been practicing a speech. He just wanted to get lucky enough to sleep on a familiar floor, to be a servant in his father's house instead of slurping somebody else's pig's slop. On the day the orphan comes home, dragging his feet and heart, the Holy of Holies says, "DANCE." REAL dancing is a response and not a command. Real dancing is an interaction, an intimate conversation, an outrageous celebration. Real dancing has the capacity to bring heaven down to earth. We keep learning new moves to keep up with heaven's coming and transforming. I do NOT want to spend my life doing a Sunday School shuffle. Or a lame missionary march... oh, Lord, please no... I want to do a victory shimmy when a mom's eyes light up and chains fall off. I want to do a little poppin' and droppin' in Jesus' name when a newly-built house becomes a Home and an orphan becomes Family. I want to respond with all of me as we draw nearer to all of Him. Today is my good friend and leader, Carla's birthday. Riiiiiiiiight when we were about to buckle up in my Mazda for her birthday breakfast, we heard her name being called over and over again. We popped out of the car, ready for an impromptu celebration or some other fabulously appropriate birthday morning bombardment. Instead, we heard, "One of our vehicles has been stolen." Some intruders came silently in the night and pushed away our newest ministry vehicle. It was parked right in the middle of the other cars, security lights, all the houses, and all the big, barking dogs. We prayed. And then we danced. In the empty parking place, we sang and danced the birthday song to Carla. We even did the perfectly South African, "Hip-Hip-Hooray!" for the grand finale. We smiled, clapped and danced. We celebrated Carla's life. We stood with those tired, broken bodies and spoke Truth. It was far away and literally in the bush. And that never happens. So, guess what... We danced again. A new dance. A thank you dance. Then, without even thinking twice or realizing what I was doing, I went outside and danced with the children. I danced so many kinds of dances with the children whose needs and stories are unfathomable. We sang the same line over and over again, but we made up a new move every time. This morning, we danced to celebrate a life in an empty parking spot. We hip-hip-hoorayed on the enemy's tracks. Today, in that yard, we danced a hundred different dances over the empty places and the enemy's tracks in those little lives. We danced out the darkness, doubt and fear. We danced both the empty parking spot dance and the "Welcome home, son" dance. This is the day we danced. This is the day we celebrate a life, a miracle, a communion of the saints, and children eating until their full and then taking home leftovers. Let this be the day you dance. Whether your parking space is empty or your stomach is full. This is the day to dance. Inspiring! Amazing! Spot on! Reminds me to dance even when I can't hear the music! Thank you for sharing! God is always worthy of our praise, thanks an adoration! Awesome!! What better way to react to the enemies attack, than to dance!!! The enemynwants us to cry, get angry, or shout curses, but when we dance, it strengthens our faith! It pours hot coals on the enemies head! The enemy is attacking, LETS DANCE!! !